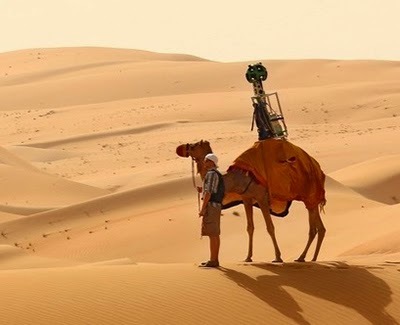 Most images for Google Street View are collected with a car, but for the first time, the task was given to an animal – a 10-year-old camel named Raffia. Raffia walked through the desert around Liwa Oasis with a Street View camera mounted on top of her hump to create panoramic views for internet users around the world. The images, now available online show scenery from Liwa including dunes, the oasis, other camels and Raffia’s footprints and shadow.